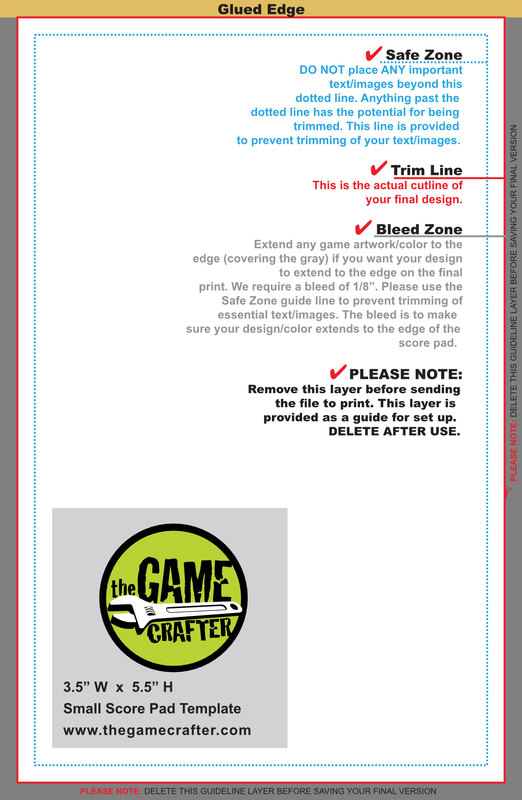 A small score pad designed to fit in the small pro box or the medium game box. Each sheet contains 4 score pad pages; for example, a pad of 40 sheets would cost $2.99. Score pads may contain 40, 60, 80 or 100 pages. Score pads are printed black and white. They have a plain white cardstock back. The 40 page variant is 0.224 inches thick and the 100 page variant is 0.524 inches thick.